This New Zealand North Island Itinerary is one of my favourites. I have visited over 120 countries and have to say New Zealand is my favourite country. I have lived here for 15 years now and I’m still amazed by its beauty. I love living in Wellington and spending my time exploring the North Island. 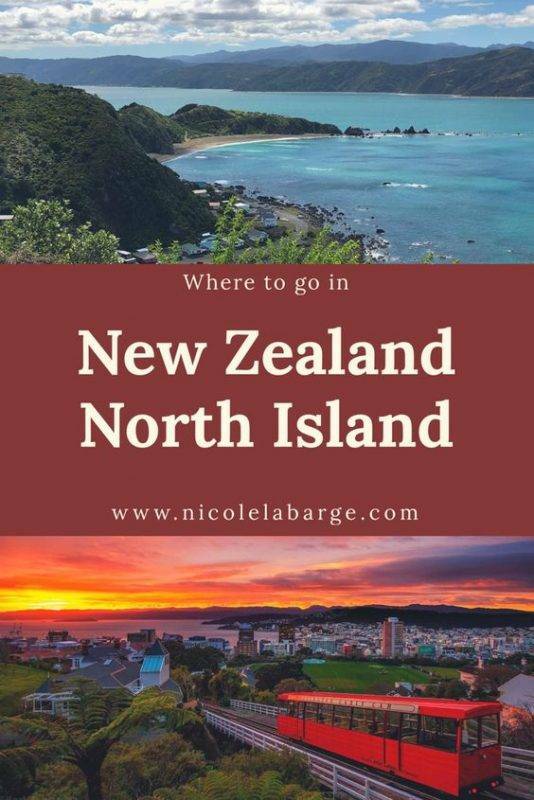 This itinerary is perfect for anyone looking to spend one week in the North Island on a road trip. Read more about New Zealand on a budget, the South Island and How to move to New Zealand . You will find all of the major car rental companies available in New Zealand (Hertz, Enterprise, etc) and at the Auckland Airport for your road trip. Please remember to drive on the left in New Zealand and the max speed limit is 100 kph on the highways and 50 in residential areas. Many people prefer to rent a van and drive around New Zealand. If your van does not have a toilet you will need to stay at campsites and holiday parks as you cannot freedom camp. Drive times between cities can be long. For instance Auckland to Wellington is over 8 hours. The North Island of New Zealand is the forgotten island. Most people spend their time in the South Island but there is a lot on offer in the North Island and a lot of people fly into Auckland which makes a great jumping off point for the far north or you can head to Rotorua and Wellington. I recommend spending a few days in Auckland before heading out on your road trip. Jet Lag and driving on the other side of the road are not a good combination and that gives you a few days to check out the largest city in New Zealand. Check out the Sky Tower – The Sky Tower has stood tall at 328 meters as an icon of Auckland’s sky line for 20 years. It’s an exciting hub of adrenaline activities, superb dining and breathtaking views. You can do the sky walk or the sky jump from the tower. Check out Giapo Ice Cream – I had the pleasure of checking out Giapo when I was in Auckland recently and I have to say this is one cool experience you do not want to miss. They are passionate about helping others see ice cream in a different way. They’ve created a unique ice cream experience in Auckland. This is an ice cream tasting experience with a twist. The best ice cream in New Zealand. If you are looking to spend a few days in Auckland, walk along the Waterfront and check out the restaurants and bars or take a ferry to Waiheke Island and go for a wine tasting. There is a lot to do in the surrounding islands such as food and wine-tasting, beaches and beautiful landscapes, and walking trails. Whangarei is a great city in the far north and often used as a base for activities around the Bay of Islands. Captain James Cook and the crew of the Endeavour were the first Europeans to land in the Harbour. On 15 November 1769 they caught about one hundred fish there which they classified as bream prompting Cook to name the area Bream Bay. Sailing around Whangarei, seeing dolphins and beautiful scenery. It is a beautiful city to visit with stunning scenery. I think it is a must see for anyone to the far north of New Zealand. During my time in the Bay of Islands I went sailing for the day. It was a beautiful day and we even got to see some dolphins! It was a long day out and we helped out on the boat but we were rewarded with beautiful views and a bbq lunch. There are places we visited that I would not have been able to visit unless we were sailing. I highly recommend sailing the Bay of Islands. This is where Captain Cook first landed in New Zealand. He spent time in the Bay of Islands and then coming ashore to learn more about New Zealand. The far north of New Zealand is called the Bay of Islands and it is a gorgeous place. Two things come to mind when I think of Bay of Islands – sunshine and beaches. I took a bus from Auckland to Paihia for a few days to experience the area. I didn’t have much of a plan in place but there are so many things to do in the Bay of Islands. I spent my first day out deep Sea Fishing. I’ve gone fishing a few times and I figured what could be better than spending the day on the water. I found a fishing boat that was very flexible about where we were going and there were only three other people going out. Sounds like fun! So we went out and almost immediately started catching fish. Some I had never seen before! Once we reeled in the barracuda another guy got a bite but we thought it was a snag because it went straight down and he wasn’t getting any traction on it. He kept with it and then all of a sudden we saw that we hooked a blue shark! It was at least 6 feet long! The guy worked on reeling it in for a good hour. We got it as close as possible to the boat so we could take photos which we got and then the shark twisted the line around the anchor and it snapped. Off he went. We threw a few more casts out but it was eerily quiet after that so we decided to call it a day. From Paihia I went to Waitangi New Zealand where the Treaty of Waitangi was signed on 6 February 1840 in the Treaty House (James Busby’s house). The Treaty made New Zealand a part of the British Empire and guaranteed Maori rights to their land and gave them the rights of British subjects. The 6th of February is a public holiday in New Zealand called Waitangi Day. It’s a beautiful setting with a waka (Maori canoes) and a Marae (Maori cultural centre). It really is a beautiful setting there with the birds chirping in the trees. The Coromandel Peninsula is renowned for its pristine waters, beautiful sandy beaches, dramatic landscapes and awesome seafood. The Coromandel Peninsula is also one of the most sparsely populated areas of the North Island and one of the most beautiful. There are many untouched forests and protected areas. And can I just mention how beautiful the crystal clear water is? 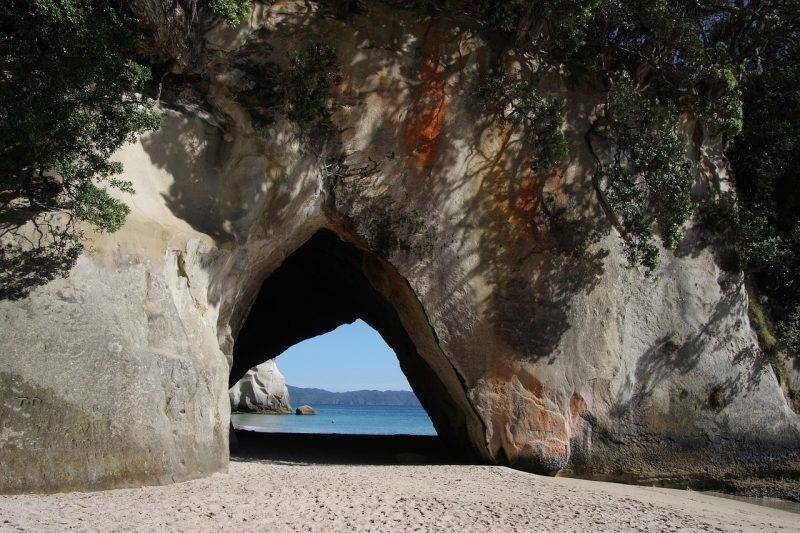 One of the main reasons I came here was to visit Cathedral Cove which is a magical beach only accessible by foot. It’s a two hour return walk to the framed massive natural rock arch. I was not disappointed. Not only was the walk there stunning and you were completely surrounded by bush but the beach itself was amazing and but I got to sit there and look over at Cathedral Cove. That view does not get boring. I spent a lot of time in the area exploring the breath-taking volcanic coastline and the magnificent ocean views. I didn’t get to go big game fishing or snorkelling or scuba diving in this area as my activity budget was looking worse for wear. I was glad I got to spend the extra time exploring. I went to Squid’s Bar and Restaurant which is the place for seafood. I had the Seafood Bouillabaisse which is a French tomato stew with seafood. Yum. While in the Coromandel I also visited Hot Water Beach where you can dig in the sand for hot spring water and make your own spa pool. The water is hot in places so be careful. Hot Water Beach is unique as you can walk along this black sand beach and dig a hole and sit down and relax in your own spa. There were so many people there it was hard to find your own pool to sit in. Luckily a few people let me join theirs so that was nice since I didn’t have to dig my own! 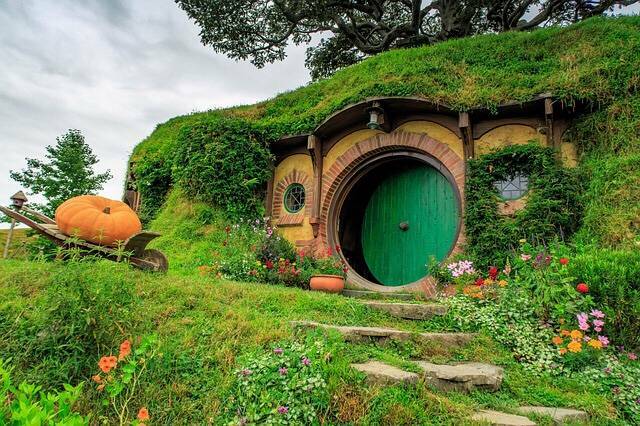 About two hours south of Auckland is the city of Matamata where you can find the entire set used for Hobbiton in the Lord of the Rings Trilogy. Experience the real Middle-earth with a visit to the Hobbiton Movie Set, the bucolic setting for The Shire™ that featured in the Peter Jackson directed films, The Lord of the Rings and The Hobbit Trilogies. There are a number of different tours you can take around Hobbiton and even some functions you can attend such as Dinner at the Shire. This is a great stop off point if you are heading south from Auckland and on your way to either Tauranga or Rotorua. I made a quick stop off in Tauranga after the Coromandel. I loved walking along the coast and we also made the climb up Mt Maunganui. I love the fact that in New Zealand you are never far from the ocean. I’m telling you the sky that night was absolutely stunning. Between the rainbow and the sunset it was just spectacular to see. In the last few years its has really become a hotspot for people to visit. Between the beaches and the mount it has a lot to offer. Experiencing the Cultural Centre greeting in Rotorua. The haka is a type of ancient Māori war dance traditionally used on the battlefield, as well as when groups came together in peace. Hakas are a fierce display of a tribe’s pride, strength and unity. Actions include violent foot-stamping, tongue protrusions and rhythmic body slapping to accompany a loud chant. The words of a haka often poetically describe ancestors and events in the tribe’s history. Dancing with poi pois at the cultural centre and singing as well with traditional attire. Kapa haka – or traditional Māori performing arts – forms a powerful and highly visual part of the New Zealand cultural experience. Kapa haka is the term for Māori performing arts and literally means to form a line (kapa) and dance (haka). I really enjoyed the 2-3 hours we spent there. It is an interesting mix of a Maori village currently lived in and a cultural/geothermal tourist attraction. I liked the relaxed friendly feel to it. Our guide had lots of info on Maori Culture, all with humour and some nice singing. One of the top things to do in Rotorua is to attend a hangi. A hangi is a maori meal of meat, kumara (sweet potatoes) and veg cooked in an underground oven. Its a delicious tradition. A hole is dug in the ground and then a fire is made and burned until it is nice and hot. The residual heat then cooks the food in the ground. Everything is wrapped. Rotorua New Zealand – What can you say about a place affectionately known as Roto-Vegas by Kiwis. It smells like rotten eggs – because of all the sulphur from the geo thermal activity. You can smell it as soon as you arrive. I was there in early January and the weather was quite warm but it was still pleasant walking around Hell’s Gate geothermal park. Hells Gate geothermal attraction is Rotorua’s most active geothermal park and is known as the “AWESOME BEAST” of New Zealand Geothermal attractions. Rotorua’s geothermal attraction features boiling hot pools and erupting waters with temperatures in excess of 100 degrees Celsius; steaming fumaroles; hot water lakes; sulphur crystals and deposits; New Zealand’s largest active mud volcano; Southern Hemisphere’s largest hot water fall and even examples of land coral. There is also a mud bath and spa that is quite amazing. I loved putting the mud all over my face and letting it cake on. Afterwards my skin was so smooth. The mud is said to have detoxifying and purifying action of the mud on the skin when drying. I’d have to agree it was better than a facial! Rotorua is also a place for adventure sports such as zorbing, white water rafting, and climbing through the redwood forest. Napier, the capital of the Hawke’s Bay had an earthquake in 1931 that rocked the town almost totally levelling all buildings in the inner city, killing 162 people (a total of 258 in the Hawke’s Bay area), and raising some areas of land by as much as 8 feet. Some 4,000 hectares of sea-bed became dry land and today this sites not only the airport, but also residential and industrial property developments. The extensive rebuilding that took place in the 1930’s is the reason for the Art Deco flavour in the City. There are many tours to see the Art Deco buildings in Napier and you can also visit the surrounding area which has a lot of vineyards. My favourites are Elephant in Castle and Mission Vineyard. You can check out this free wine trail map and visit the vineyards in the area. 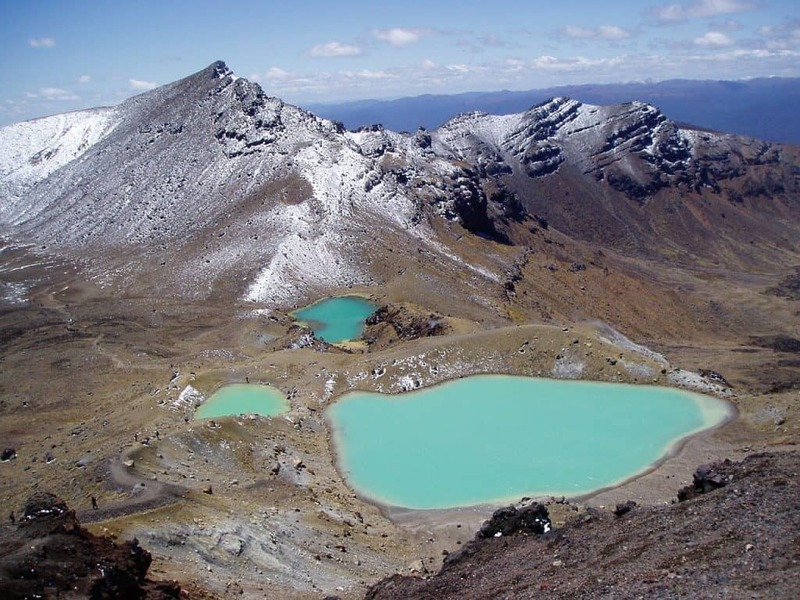 The Tongariro Crossing is named one of the best one day hikes in New Zealand. The walk takes about eight hours to complete and you start at one place and finish at another so you will need to organise transport. Most people go from Ohakune. This hike goes through the Tongariro National Park which is the oldest National Park in New Zealand and also a World Heritage site. 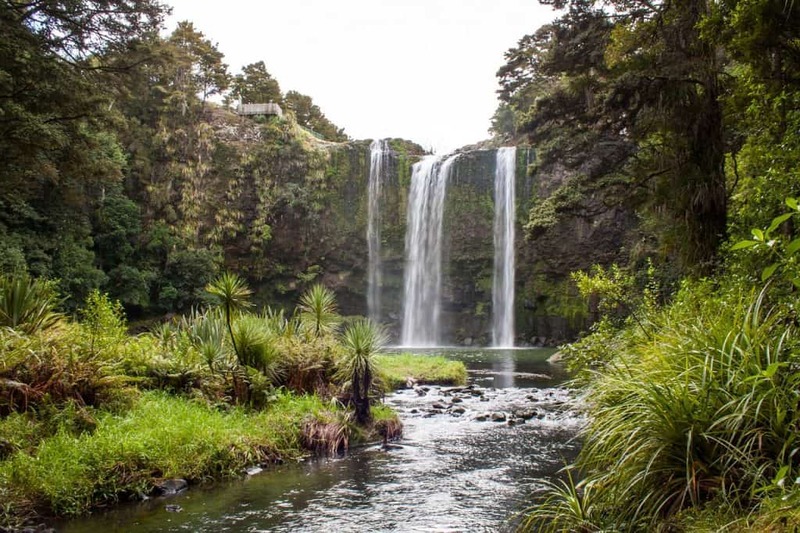 It is a 20 kilometre hike and you will see some stunning scenery that was used for Lord of the Rings such as Mount Doom and the Emerald Lakes. The Great Lake Taupo region is ‘Nature’s Ultimate Playground’, centrally located in the middle of the North Island, it’s an adventure and sporting mecca and a nature-lover’s paradise. The region is one of New Zealand’s top tourist destinations with beautiful forests, volcanic mountains and the stunning Lake Taupo. 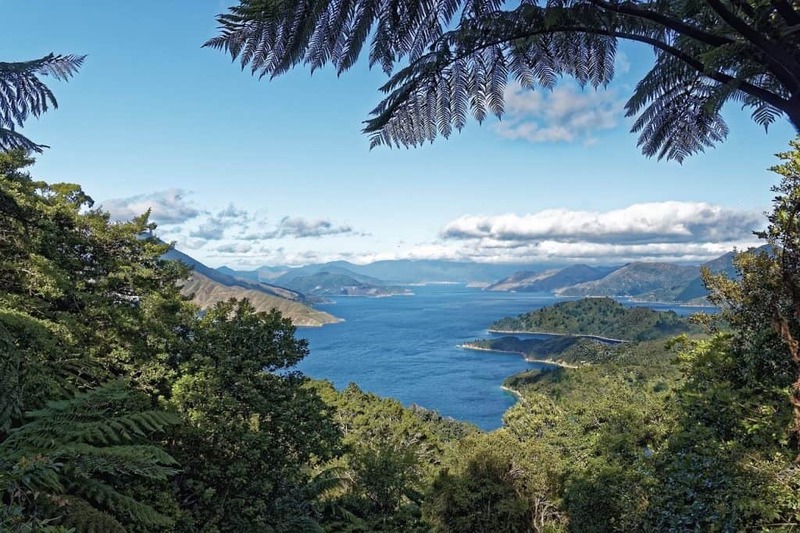 It is the adventure capital of the North Island with jet boating, bungy jumping, mountain biking, snow activities in winter and sky diving on offer. 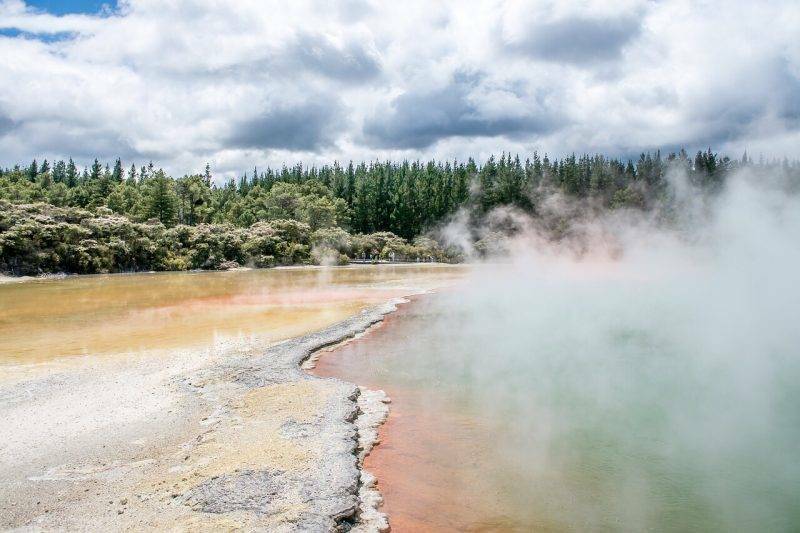 Experience the raw beauty of the dual World Heritage area of Tongariro National Park on one of the many walks or simply relax in one of the region’s geothermal hot springs. 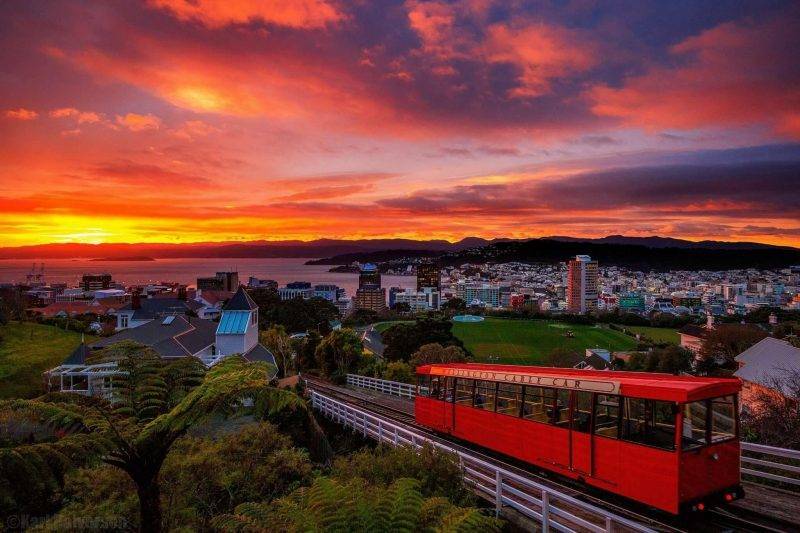 Where I live, work, and play – Wellington is the capitol of New Zealand and has been voted the best place in the world to live two years in a row. Wellington should be on every New Zealand North Island Itinerary. The best part about this museum is that it is free for general admission with the exhibitions focusing on the history of New Zealand and Maori culture. One of my favorite exhibits is the colossal squid on display. Caught in the Southern Ocean near Antarctica and donated to Te Papa in 2007, the squid weighs in at 495 kgs (over 1,000 pounds) and is in a lighted display measuring over 6 meters (6.5 yards) long. A short stroll from Te Papa you can walk along the waterfront through Waitangi Park on to Oriental Parade Beach – You really can’t beat Wellington on a good day. This is the motto Wellingtonians live by and on those wonderful no wind days you will find people walking, running, biking along the Parade and even kayaking and swimming around the fountain in the ocean. It’s a great place to enjoy a coffee, people watch or have fish and chips or an ice cream. You can take the historic cable car from Lambton Quay up to the Botanic Gardens. You can join the locals on this 5-minute cable car ride which provides dramatic views of the city. There is no better way to experience the charm of Wellington and the easy access to the Botanic Gardens. The Mt Victoria Lookout point shows the beautiful views of Wellington. Wellington has a green belt which means that there is a natural forest through Wellington and you will get a great view of this from the top. You can also look out over the Harbour. There have been whales and sting rays in the harbour in the last few years as well. This quirky pedestrian street has everything from the Bucket Fountain to shops and more importantly cheap eats and great coffee. Check out Memphis Belle for Coffee or go to Grill Eats Beer for a great lunch. My favourite is Loretta’s for brunch. Ombra – one of my favourite places in Wellington. Lovely little Italian Bacaro on Cuba Street. The polenta chips are a must along with a glass of wine to review this menu full of choices. Get the meatballs! Ortega Fish Shack – consistently good and always great service. I’ve had the Tarakihi and the Salmon but believe it or not this Fish Shack is known for its steak. Arbitrageur – great wine bar but fab food as well. This is always high on my list of options when I’m in the CBD. Avida – the sister restaurant to Ombra with a Spanish flare. Delicious little tapas and I always gets the goats cheese balls and the pork crackling. There is plenty to do on this North Island Road trip and Wellington is the jumping off point for taking the ferry to the South Island. You will find easy access to accommodation along the way but do book ahead in the summer months November to March. What do you think of this New Zealand North Island Itinerary? Anything to add to this New Zealand road trip itinerary? I recently got back from a trip to New Zealand but I only visited South Island since we only had a week. This post makes me want to go back and visit South Island next! New Zealand has been on my bucket list for way too long and I really intend to visit it this year. You cover so many interesting places here, I hope to get to visit them all! Oh man, I want to go to New Zealand so badly! Saving this for trip planning later on! Oh yes. You know I’m saving for later when ever I finally make it to New Zealand with my best friend (its been three years in the making lol). I loved the North Island! I loved the South Island too, but definitely don’t think the North Island deserves to be neglected 🙂 I hit some of these spots, but definitely need to return one day to see more of them. Visiting New Zealand was a dream come true and if I could live there I surely would. Going to NZ next year. Haven’t decided on North or SOUth Island. How long do I need for both? I liked reading about the Maori culture. Wellington sounds especially great. Excellent guide! I’m sure you’ll help a lot of people with this post, Thanks for sharing this with us. This route is very interesting and informative. Here, the travelers can get acquainted with the true traditions of the local population, visit the various attractions. Your post is reminding me of one of the most outrageous hamburgers I’ve ever eating. I believe it was in the town of Waihi and was called the Works Burger. It had everything on it including sliced beets and a hashbrown. I’d come back to NZ just for that burger. I really appreciate your work especially the research part of it which made the whole point very easy to understand regrading car rental companies available in New Zealand. Thanks for sharing!